OAKLAND PARK, Fla.— U.S. 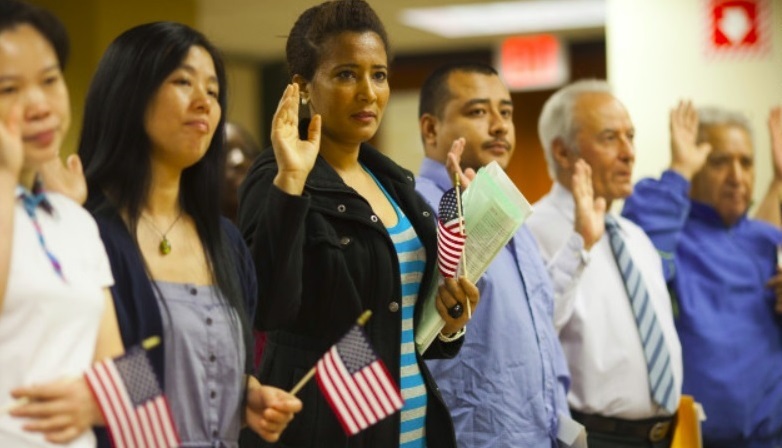 Citizenship and Immigration Services (USCIS) will hold a very special citizenship ceremony this Friday, January 18. USCIS Oakland Park Field Office Director Emigdio Martinez will administer the Oath of Allegiance to a group of 154 Broward-area residents. The ceremony will celebrate the life and memory of Dr. Martin Luther King Jr. and will have as its keynote speaker Nova Southeastern University Law Professor Kenneth L. Lewis. The 154 citizenship candidates originate from 42 countries including several Caribbean countries..
For more information on USCIS and its programs, please visit uscis.gov or follow us on Twitter (@uscis), YouTube (/uscis), Instagram (@uscis) and Facebook (/uscis).